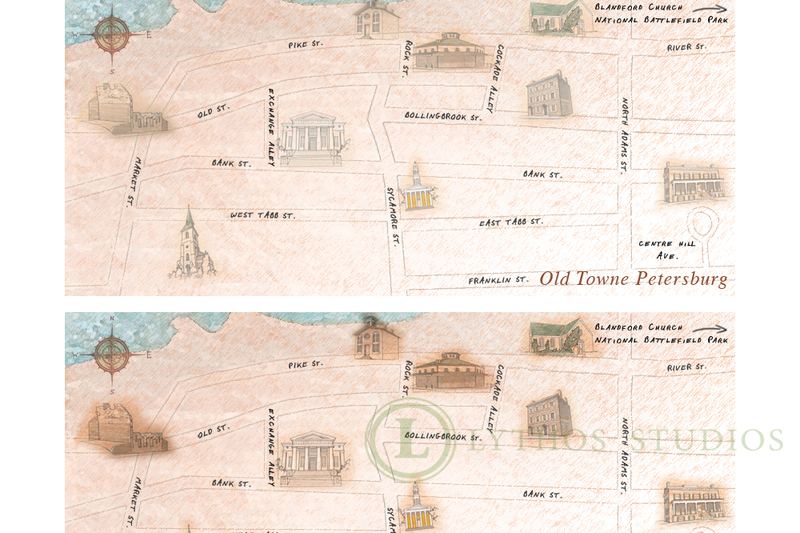 In the spring of 2013, Lythos Studios was retained to create a marketing plan for the Old Towne Petersburg footprint in Petersburg, Virginia. The original goal was to market the Peter Jones Trading Station as a sole entity, but after conducting numerous focus groups with the board of the Historic Petersburg Foundation (HPF), it was determined a broader scope was necessary to promote tourism within this region. The scope of this project enlarged to include museums, shops, restaurants and municipal buildings of historical significance. Logo treatments, tag lines, and website designs were offered and voted on by the entire board. In addition, a marketing plan was requested for a three-year period beginning in the summer of 2013, which would include a unique offering of Petersburg history segments on the local NPR station, WCVE. Working with the historians at HPF, content was provided for Dan Roberts of A Moment in Time for narration and placement. The HPF team wrote thirteen :90 segments which aired over a one year period on NPR and are digitally available on SoundCloud. In November 2014, Lythos Studios employed Groupon to attract visitors who did not live in the immediate Petersburg, Colonial Heights, and Hopewell region for the Petersburg Holiday Christmas Tour. Groupon was distributed in Richmond, Charlottesville, Fredericksburg, and the Chesapeake areas. In addition, Living Social was employed, although it delivered about 25% of the visitors of Groupon. The result was nearly 500 visitors to Petersburg. The holiday campaign was so successful, HPF, working with the City of Petersburg, requested Lythos Studios extend the Groupon offerings to the local museums; Siege Museum, Centre Hill Museum, and Blandford Cemetery. The City of Petersburg directly benefits from the Groupon sales and has earned approximately $1,000 in additional visitors from the same regions listed in the paragraph above. 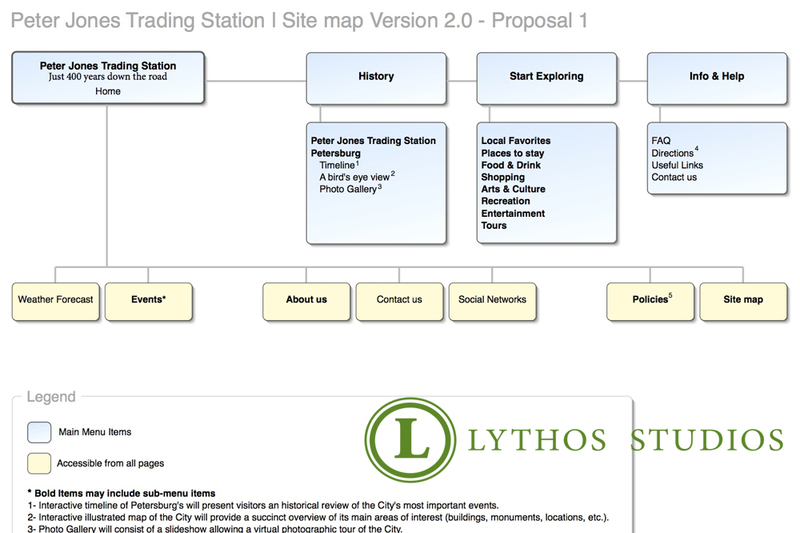 In September, 2015, HPF requested Lythos Studios take over another website, www.historicpetersburgfoundation.org in addition to the www.preservationpetersburgfoundation.org site. HPF decided to focus one site for tourism and one site for historic preservation. Having the control of both sites with one advertising agency will allow for a smoother transition.